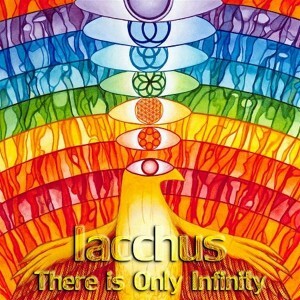 Iacchus returns to Timewave Records with his third release, There Is Only Infinity, managing to raise his game once again. Brace yourself for highly-polished production, superb squelchy noises, beautiful beats, and psychedelic sonic artistry as Iacchus explores some new downtempo styles and revisits some classic chill out moods. Mastering by [email protected] with artwork by Jennifer Turnbull. MP3 Download | FLAC Download | WAV Download · Download count: 5,435. This is a really wonderful album, quite uplifting and takes you far. I particulary like “Just a Tribute” . Recommended! very good album, very easy to listen. Very nice! Just a Tribute is Amazing. Great release. Good music. We want more!!! @Abstructure New album approaching completion, ETA 6 months. Follow me on facebook for updates. PS: I also like this album very mush, thanks for your work! Amazing. Loved the first release, and now i’m also in love with the second one. Food of the Gods is a bit different, but i can’t get it out of my head… Great rythms. Friendly atmospheres, not too complex. Really great to listen to at any time, which alone makes it one of the best releases. Great Job.. hooked in from the first track.